Over St.John Primary School Winsford Cheshire. 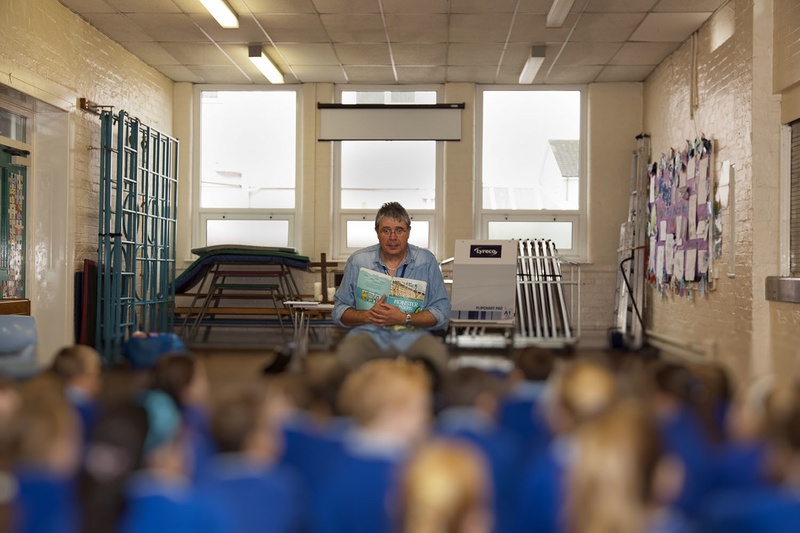 On Friday 28th of September I visited this absolutely wonderful school and read my poems to all the children and adults, before working with several classes on making poems.Those sessions were great and the children concerned made some really exciting poems. I left them with other poetry work to have a go at after my visit had finished and I am sure they wrote really excellent material. I was also able to meet the Y5 and Y6 pupils and together we did a really long and very detailed drama session in which we made up a story and worked out some endings. It was work based on the Anglo-Saxon poem Beowulf, a dark and dreadful story of cruel monsters and the bravery of the communities who faced up to them. After my visit the children were going to write stories based on the work we did. Now, although Drama is fun and very absorbing, it isn’t easy to concentrate for that length of time. A lot of the work we did was new to the children and although we had a great time, everybody had to work hard and join in. So many children made so many terrific contributions it is hard to praise them enough. This session was one of the best Drama experiences I have known in a school. Thank you! I met some really great adults too. 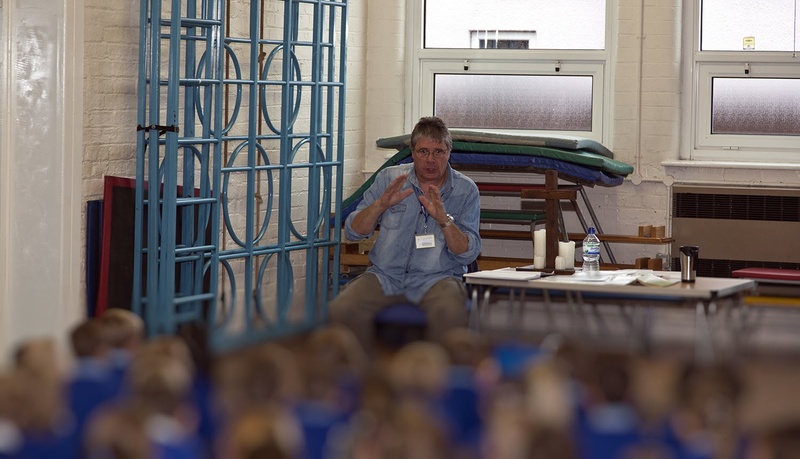 and they sent a couple of photos of me reading to the whole school.